Like, the coolest nails, like ever! We were invited to an 80s themed birthday party... who would turn down an invitation to resurrect the most over the top style era of all time?! These rad splatter nails complimented my neon mini skirt, off the shoulder neon top, ripped tights and jelly bracelets perfectly! I found a tutorial for this nail technique online but I I couldn't find any pictures of it on black nails and figured out a couple of tricks I thought I'd share with you. 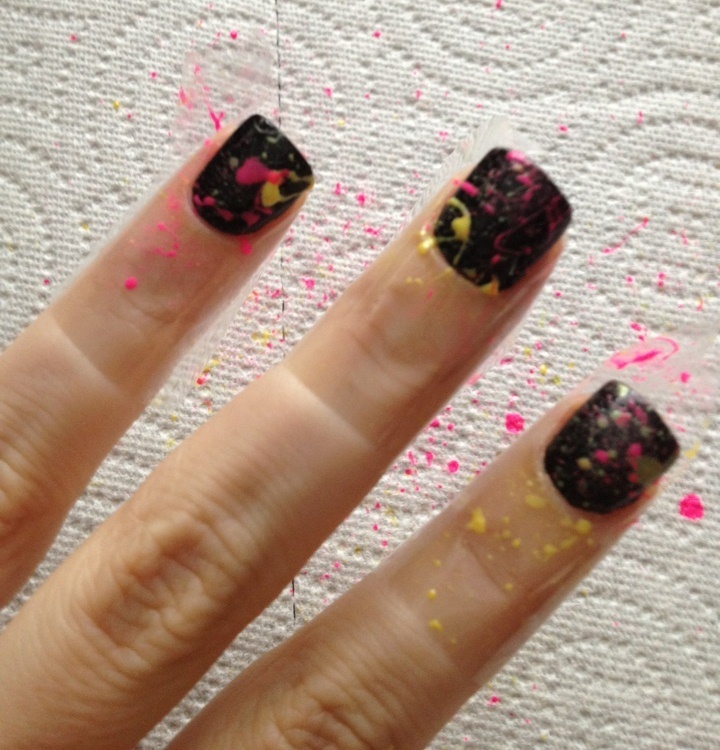 You'll need: black nail polish, neon opaque nail polish in at least two colors, a straw cut into 2" lengths, scotch tape, a paper plate, and paper towel. Start by painting your nails black. I top coated mine after the black polish but you probably wouldn't have to do that step. Using scotch tape, tape off the sides and along the cuticle of each nail on one hand. 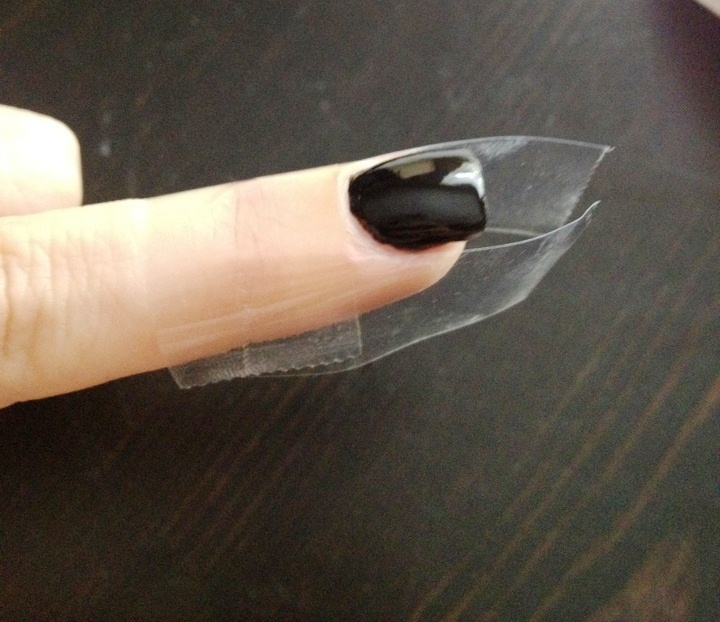 I used one of those pre-cut pop-up tape dispensers which made operating with tape on my nails a little more feasible. Line your work surface with several paper towels... it's gonna get messy. Pour a little puddle of your neon polish onto your paper plate. Pounce the end of your straw into the polish. Now here's the trick - hold your nail about 10" away from you and blow through the straw with a short sharp burst (Like you're saying "two"). 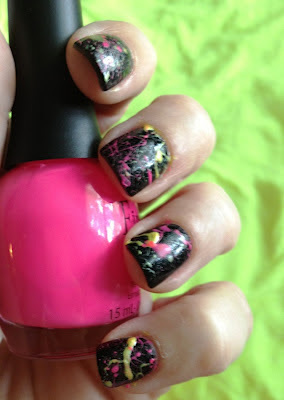 If you're too close to your nail, the air spreads the polish out too much and you don't get that drip/splatter look. 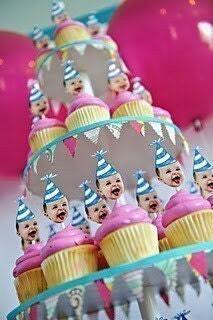 And if you don't blow sharply, you may not get any polish to come off the end of the straw at all. 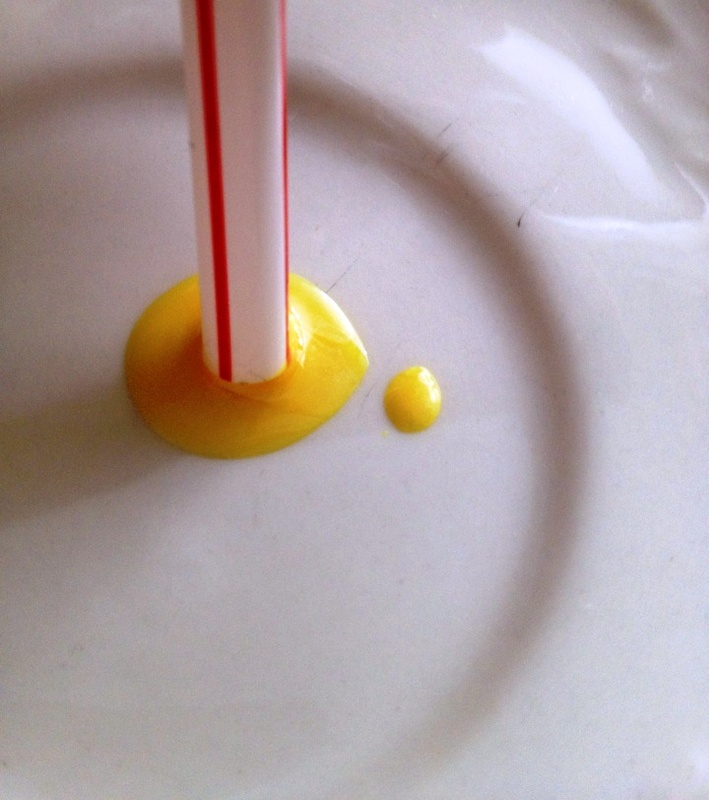 Re-dip your straw into the polish between each blow. When you're done with one color do the second, remove the tape, and then repeat the process for your other hand. Top coat & get ready for all the compliments on your totally tubular nails!